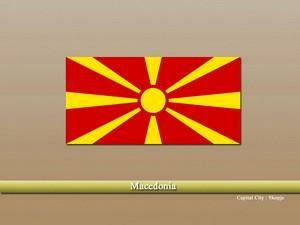 Macedonia, authentically the “Republic of Macedonia” is a country in Southeast Europe. The country is known for its rich cultural heritage and ancient architect that is still visible in different parts of the country. This is the reason; the country is visited by countless tourists who are interested in viewing or exploring the ancient sites and discover more about its interesting history. The country has a long-term history of reigns of different empires and kingdoms. The Kingdom of Paeonia is one of the earliest known kingdoms in the region that was eventually occupied by the Persians. As the time passed, many kingdoms i.e. the Kingdom of Macedonia, the Roman Empire, Byzantine Empire, and finally the Ottoman Empire ruled the region. The Ottoman-ruled ended by the First World War, and Macedonia was annexed by the Kingdom of Yugoslavia. As World War 2 broke out, the Axis forced occupied Macedonia until they were defeated by the Soviet Union in 1945. Afterward, Macedonia was incorporated into the Socialist Federal Republic of Yugoslavia and remained till 1991, when the Soviet Union broke and Macedonia declared its independence. Macedonia is a landlocked country and is bordered by the other European Nations of Serbia towards the Northeast, Greece towards the South, Kosovo towards the Northwest, Bulgaria towards the East and Albania towards the West. The country has exotic geographic features with rich biodiversity. Most of its terrain is mountainous. Also, there are several scenic lakes in the country. In addition, the government has also maintained National Parks which ensure the protection of wildlife and other natural features. Soon after the independence, the economy of Macedonia was in desperate condition as it was long been in communist hands and their output and demand were different. After the independence, new reforms were introduced and the government pushed to bring the economy back on track. Today, it is one of the best performing economies in the world with tourism, services, agriculture, industries, etc. being the main sectors. Macedonians are the predominant ethnic group of the country followed by Albanians. Similarly, Christianity (Eastern Orthodox) is the largest religion of the country followed by Islam. This difference can be predicted by the number of ethnic people and their differences. In terms of languages, Macedonia language is the official language of the country, while the Albanian language has given the “co-official” status and is being used in many official purposes. Vastu for attached bathroom and toilet? Importance of vastu shastra in architecture?